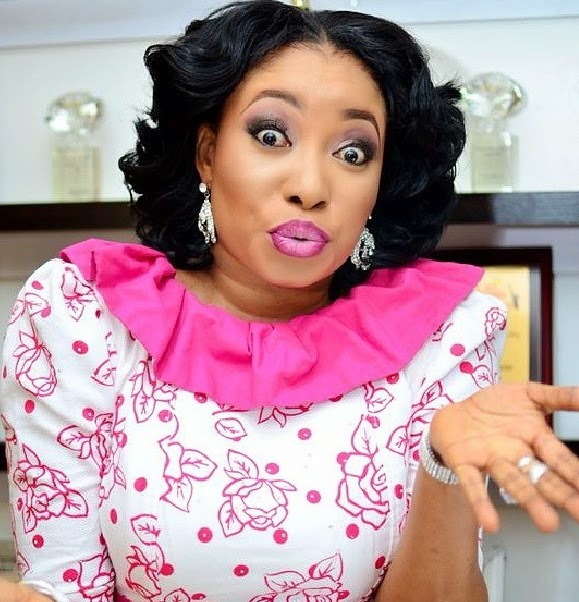 Hear what Lizzy Anjorin said recently about her conversion to Islam. Christianity is my father’s religion. My name is Elizabeth, that’s where Lizzy was derived. I practiced it for long but now, I am a full blown Muslim. Since I started practicing Islam, I have only been doing it on my own, only those that are close to me understand I have embraced Islam fully. But that doesn’t mean I hate Christianity. I don’t discriminate. Both Christians and Muslims are one before God. If anybody from either of the two religions invites me to a function, I make sure I attend because I believe we’re all from the same God, which is called Allah in Islam. Islam is a religion of peace as against the impression by some people that it’s a blood shedding religion. I love Islam because there is no discrimination among the adherents of the faith. As a Muslim, you can enter any mosque and pray no matter where it’s located in the whole world. No one will ask you whether you’re from this denomination or that denomination. There is unity in Islam. And in praying to God, you don’t need anybody to lay his hands on you before your prayer is answered. Especially, if you know how to wake up at night and render personal supplications to God, He will surely give you the reward for doing so. You’re free to pray on your own and you have the confidence that your prayer is accepted so far you have good intentions. All these I do personally and I constantly enjoy the reward for doing them. Everybody is equal in the sight of Allah irrespective of whether you’re Mr. President or governor, whether you’re a billionaire or poor man. We’re all equal. I really cherish the religion, and there is no going back again. Do Christians and Muslims worship the same God? If so why are they different in their modes of operation? I strongly disagree with you madam, we are serving different God. Your God is ordering u to kill people of other religion while my God is pleading for compassion. It is painfl wat som Christians say on dis topic. Bt one st8ment of Jesus answers it all. John 14:6 reads dat no one comes 2d Father(GOD) except thru Jesus. If u can reach God thru Mohamed, den Jesus is a liar. Bt thank God He iznt! U only meet Allah thru Mohamed. Dis woman only proves she wz a mere churchgoer wen she wz a Christian, nt knwing d meaning of wat she recited evry sunday. And even so it is wit many Christians 2day, my 4mer boss inclusiv. None shd try 2 reconcile Jesus wit Muhamed. It is a superlativ imposibility. They’r roads leadn to 2 diffrnt destinations. I agree with you, she is saying that to make herself feel good but she missed it. You are right. She was a churchgoer who was seeking miracles and looking to be laid hands upon or how else can someone who was a true Christian say u could not pray on your own for prayers to be answered. Obviously she never loved Christ or sought salvation, she would have been fulfilled in her service to the Lord. I guess she was looking to be rich or married or something(and there’s nothing wrong in that, but it shouldn’t be the main reason for Christianity. Sorry o Hajia, Metu has summarized it all, if you ever read the Bible – JOHN 14:6. I strongly disagree with you Lizzy. I’m your fan but on this subject we are opposite. When a Muslim or non-muslim says we worship “same God”, to Muslims we simply mean that Only God Almighty worthy of worship. He is the only one that hears and answers our prayers whether you are muslim, Jew, christian, Hindu, Buddist etc. He’s the ONLY creator of everybody. However, when it comes to “mode of worship”, say for instance Babalawo, they would create image (Ere) whereby they ‘feed’ and pray to in order for their request to be answered. Likewise in Christianity, there mode of worship is they believe Jesus (peace be upon him ) is God who created the world and therefore they worship him. So when Christians pray to Jesus to answer their needs and the prayers are answered,they praise God/Jesus. (sometimes they can be confusing). But in realtity, it’s not Jesus that answer their prayers. It’s Allah (The One who has not partner. The One who beggets not nor is He begotten and there in none like unto Him). This mode of worship also apply to other religions. Islam on the other hand says that nothing is to be worshiped except God alone. La ilaha ila Allah. We not supposed to worship His Prophets and messangers. That’s sacrilegious. This is the only sin that is not forgivable in Islam. So when a muslim prays to God (Allah), and his pray is answered, he thanks God. My point is, according to Islam, if you pray to image, ***, saint or other things created by God (Allah), those things do not answer your prayers. It’s God who answers it. The modes in which other religions worship by asking or praying to **** for instance, is what Islam condemns. So technically, since only God provides and answers our prayers, in that sense, we all serve same God even if you call on something else. The problem is ‘something else’ they call upon are creation of God. Therefore, they can not answer your prayer. “Mode of worship” in other religions beside Islam is what God condemns. That’s, do not serve other gods besides Allah, the Lord of Universe. It’s forbidden to pray to creation, it’s forbidden to worship creation other than creator. It’s forbidden to worship *****. On the face of the earth today, only muslims worship true God (Allah). Hope this clear a bit of confusion. Your third paragraph madam – Jesus is the son of God and no one comes to the Father (God) except through Him (Jesus). Period. That’s the problem. Make up your mind. Is ***** god or son of God or both?. When you clear your ****** get back to me. From your comment, it’s clear that you guys **** the right path. Can’t be same god. Allah is the greatest deceiver according to the Quran. Satan is the greatest deceiver according to the Bible. Diametrically opposed. PS. Jesus is God. Even the Jews of the day wanted to stone him for making that ABUNDANTLY clear. Stop smoking weed, vero. Get yourself educated. @Amanda, you don’t sound like you have much education yourself and quit insulting people all in the name of your religion. It only goes to show that if you have the opportunity, you can also kill people if they don’t convert to your religion. Ah! Take a dive pls! I am very familiar with how Christians play their games. Instead of you to address your theology, you keep drifting from the point and dwindling on irrelevances. Please grow. And as you can see from your brother James Brown, can you see the confusion again when he said “**** is our Lord and Savior”?, God and **** are two separate entity. When you cant defend your theology, you result to insults. If Muslims Say **** Is Not God, that’s not insult. We must say fact simple as that. So how does that warrant you calling me names?. Address your christian theology and top talking about BH. You are very ****. christain are praying to God not to Jesus as you said, but we are praying in the name of Jesus to God.bcos that is the only name our God listing to,to answer prayer.so whatever name you call to seek God face you can not see it. Amanda love thanks for bin sensible. They are confused people years back **** is d son of God, 3 in one holy trinity and so on but today **** is God dis shows dey dont know what dey serve. Afisuuru. Allah wil grant all dat u desire. @Lizzy Anjorin, Muslim Allah and our Lord and Saviour Jesus Christ is not the same, Christians and Muslims DOES NOT WORSHIP THE SAME GOD.. never you say that again, its very clear. Jesus preaches Love,Peace and Forgiveness, while Allah the muslim God through Mohammed or what do they call him preaches,killing and war against those that are not muslims, there indirect mission and Motto is; either you convert to islam or you die. DONT DECEIVE YOURSELF MADAM MUSLEM AND CHRISTIANS ARE DIFFERENT FAITH AND WE HAVE DIFFERENT GOD.MUSLEM WORSHIP ALLAH WHILE CHRISTIAN WORSHIP GOD. IN CHRISTIANITY THERE IS SALVATION, WHILE ISLAM no SALVATION.CHRIST TOUGHT US TO LOVE EVERY BODY including our enemies, IN ISLAM KILL WHO DISBELIEVE AND THATS WHY THEY ARE BOMBING PEOPLE, THATS THE TRUE TEACHING OF ISLAM. YOU CANNOT DENAY THIS FACTS, BECAUSE YOUR PROPHET WAGED SEVERAL WAR ON PEOPLE OF HIS TIME DIFFERENT OCCASSIONS. ISLAM IS NEVER EVER A RELIGION OF PEACE.PROPHET SIW HAS NOT GIVEN ASSURANCE OF WHAT WILL HAPPEN TO HIM HEREAFTER,talklees of his followers.MORE THAT TO BE FRANK ISLAM WAS FOUNDAED BY WAR so you have mis the way that wil lead you to heaven.I pray that GOD WILL OPEN YOUR EYES TO SEE BEYOND THE VEIL THAT THEY HAVE COVERED YOUR EYES WITH IN JESUS NAME. OLODO RAPATA! CHEI D EYES COM LOOK LIKE OJU EJA FOR REAL!! This woman is stupid and useless, she is a jihadist.